“I’m sorry? What do you have? Fibromyalgia? Isn’t that a made-up thing? You sure don’t look sick.” How many times have we, as fibromyalgia sufferers, had to justify that our ailment is real! Oftentimes, when you tell someone that you are sick, they give you the quick once over and retort back hurriedly that nothing appears to be wrong. At that point, we have to explain what our symptoms are and how they affect our daily lives. But to no avail! We are still met with skepticism and snark. They don’t say anything while thinking, “Right. Just a way to get attention.” Or even worse, they do say something along the lines of, “Are you faking it to get out of work? Did an actual doctor diagnose you? Are you a drug seeker?” This is quite humiliating, to be honest. No one wants to be subjected to that type of negative scrutiny. Each time I hear those nasty comments, I want to scream, “Of course, it is a real diagnosis! Why would I fake this?” But that would only bring on more questions, more sarcasm, more ignorance. And quite frankly, no decent human being would dare say those things to a cancer patient, or an amputee, or a wheelchair-bound individual. Invisible symptoms? Is that a thing? We don’t have to silently accept the general public’s incredulity. Our role, as part of the Fibro Army, is to educate people. How can we expect others to know what it is like if they don’t know what it is like? Unfortunately, fibromyalgia comes with a battery of invisible symptoms. What’s an invisible symptom, you ask? Well, unlike a missing limb or a gaping wound, the symptoms of fibromyalgia are symptoms that are felt deep in the body. No one can ever tell when you are suffering, because from the “outside,” you look just like any other healthy individual. But on the “inside,” you are affected by various impairments that impact your life in major ways. Fill in the blank, there is no wrong answer! Fibromyalgia affects your entire body, and the pain can be extremely intense. It is said that the most common symptom is widespread muscle pain and tenderness. As a matter of fact, one of the early detection tools for doctors is to push on certain trigger points in your body. This will result in accuse pain. There are different trigger points that are commonly tested. In fact, there are nine pairs of trigger points in the body: the back of the neck, the collarbone, the upper ribs, the elbows, the interior of the knees, the shoulders, the shoulder blades, the hips and the sacroiliac joint (where your lower back connects with your pelvis). Doctors will often use these trigger points as a detection method. Where it becomes difficult to understand, for people who do not suffer from fibromyalgia, is that the pain travels. Yep. You can view your pain as being a tourist, going from place to place, staying a while or leaving the next morning. People have a difficult time comprehending that one day your left knee hurts, and the next day your right elbow hurts. We have been conditioned to think that pain is localized in one spot, and that’s all there is to it. But when it comes to fibromyalgia, the location of the pain can be unpredictable. Now you see me… now you don’t! The pain can be dull, or sharp; lingering, or acute; diffuse, or specific. It can happen at night, during the day, at certain times, or not at all for days (but that is rare). You may feel it in your muscles, your abdomen or your neck and back regions. It can be hard to lift your legs or kneel down. Add to that the fact that the pain comes and goes. Some days, everything goes in the right direction (buy a lottery ticket!). But some days, you can be bed-ridden with what experts call a flare-up. Just like the name suggests, your symptoms get more noticeable, and unfortunately more painful, at times. Those are the times you wish people would see you because then they would know how bad it gets. Due to the “all over” nature of fibromyalgia pain, it is sometimes hard to diagnose. Often, the symptoms will mimic those of a different ailment. However, when your pain is more or less generalized, it is a strong indication that fibromyalgia may be the culprit. I can’t stomach this anymore! One of the lesser known symptoms of fibromyalgia is stomach upset. Fibromyalgia can actually affect your entire body, including your gut. Many systems in the body rely on the gut to give them an overall sense of how you are doing as a person. The reverse is also true. If you’re not feeling well, your gut will not feel well either. Think about it: when you feel stressed out or anxious you may feel like you have an upset stomach. Likewise, constipation is not an uncommon complaint among fibromyalgia sufferers. In fact, IBS, or Irritated Bowel Syndrome, has been known to co-exist with fibromyalgia. While each relationship between the two conditions has not been established, it has to do with the fact that both conditions affect the central nervous system. They are considered functional disorders. In other words, things that should work smoothly do not work as well as they should. 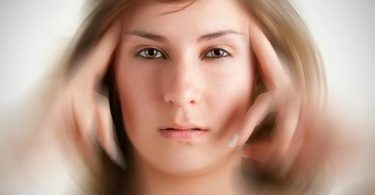 Clouded consciousness is, unfortunately, a prevalent occurrence in fibromyalgia patients. We even have a name for it: Fibromyalgia brain Fog. It can be summed up as am overall fuzzy feeling. Your brain feels like it is wrapped in cotton candy. You can hear and feel and participate in activities, but you cannot get 100% of your brain involved. It’s almost like you are looking at the world through a window covered in raindrops. Speech and comprehension are greatly altered and from an observer’s point of view, it may seem as if you’re not paying attention, or not interested. I have to admit that Fibro Fog has been at the root of a few arguments at my house. It is one of the most difficult symptoms to handle for your loved ones. I think my arm fell asleep. Again. Pins and needles, everywhere, each time you sit down or fall asleep. That is no one’s idea of a fun relaxing moment. Yet it is something that fibromyalgia sufferers experience regularly. Numbness and tingling could result from a co-morbid condition called paresthesia. Fibromyalgia is a disturbance in the neural pathways. To put it simply, with fibromyalgia, the signals your nerve receive from your skin, for example, are not relayed properly to your brain. So you may feel a gentle brush of your arm as strongly as if someone was cutting it off. It sounds like an exaggeration, but for some fibromyalgia patients, it is their reality. Think about your neural pathways as highways within your body that help information to be carried from your nerve endings to your brain on a truck. Now imagine there are several detours along the highways, and some of the information gets lost along the way. Now someone steals some of your cargo, and you pick up a hitchhiker or two along the way who leave some of their stuff in your truck. Now the information that reaches your brain is nothing like the information at the beginning of the trip. That’s exactly what is happening with fibromyalgia. The information gets jumbled up within your body, and your brain receives a signal that may not even be real. And that, ladies and gentlemen, is how you get your hypersensitivity to cold, hot, pain, you name it. And that’s also why your body thinks your left foot is dying when you simply were just squatting down to pet your dog. I guess you could say your brain is like a second grader: it interprets everything literally, without using context clues. Costochondritis. Yes, it’s a word. Yes, it’s a medical condition. Yes, it’s painful. Costochondritis is an inflammation of the tissues between your upper ribs, particularly where your ribs attach to your sternum or breastplate. 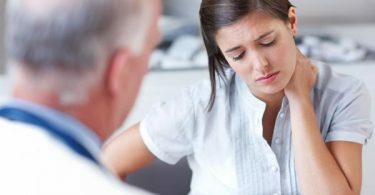 Unsurprisingly, it is one of the trigger points doctors look for when first examining patients who exhibit signs of fibromyalgia. This is one of the most painful invisible symptoms associated with fibromyalgia. It feels like your ribs cannot move any longer, and your chest gets heavy. It’s almost like pressure on your upper chest, and patients have been known to sometimes mistake costochondritis with heart-related incidents. It is not much you can do for the costochondritis. Some like to go to physical therapy to regain some range of motion in the ribs, but realistically, costochondritis will go away on its own eventually. Now the question is, can you wait that long? Quick tip from my own bag of tips: capsaicin cream works well if you can handle the hot pepper feel on your skin. It helps decrease the inflammation, which in turns helps decrease the swelling and the pain associated with it. Fatigue and tiredness are not surprisingly major symptoms of fibromyalgia. People will sometimes label you as lazy, and that truly makes it worse. Here is what is hard to understand: some days, you have enough energy to take on an entire class of kindergarteners on the obstacle course. And the next day, you can’t even open your eyes. The reality is that chronic fatigue can hit you at any time. You know the old adage, “Moderation is key?” Well, it works for fibromyalgia too. You are the only person who can tell if your fatigue is temporary or chronic, just as you are the only person who can decide how much is too much. Malaise, or an overall yucky feeling, is one of the least recognizable invisible symptoms of fibromyalgia. Sometimes accompanied by muscle spasms, malaise just makes you feel… blech. You have no energy; you feel noxious but not really; you experience dull aches without being able to point to the exact site of your pain; you feel an overall discomfort but you can’t explain it or put it into words. Often, fibromyalgia sufferers have this general uneasiness they cannot explain. Again, this is one of those symptoms that everyone will experience at some point in time. But for Fibro Warriors, it’s an all too familiar state. Many fibromyalgia patients will report having felt nauseated when the pain is ongoing. A primal instinct, nausea is that deep feeling in the pit of your stomach that tells you when you are about to throw up. We have all heard stories of people being so badly hurt that they threw up from the pain. It is what is known as a vagal response, or a vasovagal syncope. Big words, I know. In a nutshell, your vagal nerve is the biggest nerve in your nervous system. When you have fibromyalgia, your nerves are impacted severely by the ailment. Therefore, your vagal nerve is also over-stimulated. This vagal response signals to your brain that you are in danger. The uncontrollable reflex induces a feeling of nausea, as it dilates all your blood vessels to allow for more “fresh” blood to get to your body. What does that mean concretely? You want to throw up. I love you! I hate you! Am I dying? Oh, look, butterfly! The mood swings. Oh, the mood swings! I can go from sweet as pie to mean as a viper in 10.2 seconds. It is quite uncanny how much fibromyalgia affects the mood. Just as unpredictable and diverse as the pain can be, the same can be said of mood. Add to that the blatant lack of sustained concentration, and the anxiety of not knowing how your body will feel in an hour from now, and you have the recipe for emotional disaster. Panic attacks and depression are definitely ailments to look out for when you suffer from fibromyalgia. Sadly, as your mood fluctuates throughout the day, meaningful relationships may be affected by our health concerns. A surprising, and maybe less common, an invisible symptom of fibromyalgia is acrocyanosis, accompanied by excessive perspiration. It is simply a medical term to describe cold hands. Fibromyalgia can be accompanied by a sensation of always having cold hands, and sometimes having sweaty (that’s the perspiration part), even blueish hands. The reason is easy to understand: as we have established, fibromyalgia affects the nervous system. When the nerve signals are “all mixed up,” our bodies may think that there are environmental factors influencing the said signals. In return, the nerve thinks they need to cut off the blood supply to the extremities, so they constrict the blood vessels. No blood flow = cold hands. This invisible symptom is probably the most visible one of them all! Rest assured that while it can be impressive, acrocyanosis is not dangerous at all. Nothing needs to be done, and the hands periodically cycle from hot to cold on their own. OK, so maybe I’ve taken advantage of this one once or twice. Not my proudest moment, so don’t hate me for admitting that I may have claimed I had a bad headache just so my kids would leave me alone. Don’t judge me. But here is what is real: fibromyalgia, as we know, affects the nervous system, which contributes to vasoconstriction (which is when the blood vessels contract). Constricted blood vessels are the most common explanation for a headache. So yes, you’ve guessed it. Fibromyalgia patients will almost 100% of the time experience headaches, ranging from the dull sensation to a full-blown migraine. Nothing fun, that’s for sure. 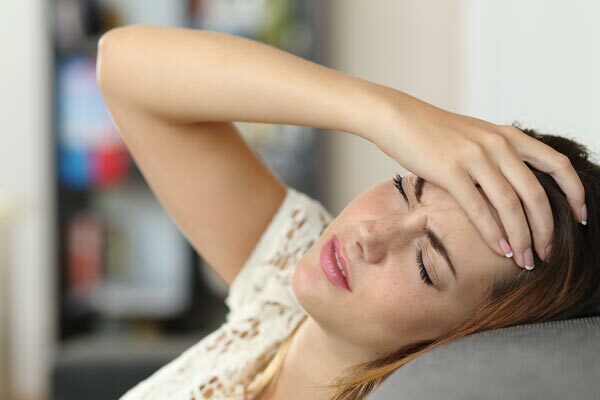 Now on top of the frequent headaches, fibromyalgia sufferers can also count on being irritable. Actually, I would dare say that they go hand in hand, and that makes sense. Imagine having a blaring headache. Wouldn’t you be a bit irritable too? That symptom is therefore quite self-explanatory. I’m so tired I can’t sleep! And here we go. One of the greatest paradoxes of fibromyalgia. You are so tired all the time, yet you cannot fall asleep for the life of you. Try explaining that to your loved ones without sounding like a lunatic. A large majority of people affected by fibromyalgia also experience sleep disturbances. And truly, it is not far-fetched to say that since you just cannot get comfortable due to the pain, it is hard to fall asleep. You know what else makes sense? Fibromyalgia patients do not reach the deep, reparative stage of sleep very easily. Why? Let’s look at it this way: every time you toss and turn in your sleep (which we all do), a new ache or pain is triggered. Even if you do not wake up fully, it is certainly to blame for not allowing you to sleep tight. It is also important to note that there are also two common conditions among fibromyalgia patients; they are more likely than the “general population” to suffer from RLS (Restless Leg Syndrome) and Sleep Apnea. Once again, if we stop to look at how fibromyalgia works, it makes perfect sense. Nerve signal disturbances are indistinguishable from real nerve signals in the brain. Just as we saw above that pins and needles were a common comorbidity for fibromyalgia sufferers, the same can be said of Restless Leg Syndrome. I can predict the weather with my knees! Remember your Great-Grandma Bertha’s amazing ability to predict the weather without ever looking at a barometer? And how the severity of a storm was not expressed in barometric pressure, but in degrees of pain in her knees? I feel like that sometimes. It’s a bit crazy, really. But my joints are so sore from the fibromyalgia that if there is a drop in atmospheric pressure, I can tell you all about it before the weatherman on Channel 4. I’m trying to put a positive spin on this one because if I don’t laugh about it, I’m going to cry. Joint stiffness is no laughing matter, though. It can be quite incapacitating. There are days where crawling out of bed is a feat. Between the stiff joints and the sore trigger points, the physical pain is real, and it’s bad. If you have joint stiffness, it may be one of those invisible symptoms of fibromyalgia, whether be it dull, achy, acute, sharp, lingering, chronic, stabbing. Once in a while, the reality of it all will hit me. I have a chronic condition that has no cure. It seems fitting that depression would be an invisible symptom of fibromyalgia. Or maybe it would be more accurate to say it is an invisible side effect. For some people, the depression will hit first. You are tired all the time. Your social life is impacted, because you have no energy to meet your friends, or you are in too much pain to deal with a night on the town. Depression is unfortunately only one of the invisible symptoms affecting your mental health. Many fibromyalgia patients will also experience nervousness. This is triggered by our innate fight or flight response. When we feel we are in danger, our body either gets the urge to run away or gets the urge to fight back. The anxiety felt by many fibromyalgia sufferers can be life-altering. Never knowing if today will be a good day or a bad day makes it difficult to look forward to tackling the day. And if by chance it is a good day, the fear of overdoing things and having to pay for it the next day is not a fun prospect. If you add on the general soreness and the recurring headaches, your head is soon filled with negative thoughts on the verge of spiraling out of control. If things are that bad, why even bother to keep going? Simply put, because life is worth living. Sure, it’s not all happiness, rainbows, and unicorns. But let’s face it: no one’s life is that perfect. The difference between Fibro Warriors and the rest of the world is that when we do have a good day, we sure know how to appreciate it to its fullest! There is no wasted time trying to figure out if we should or shouldn’t do something. Rather, we think in terms of a can or cannot do things. And if we can, the world is our witness, we will! No one lives so fully as people who suffer from chronic conditions that impede their daily lives. That cliché, you know the one: “Every moment counts.” Well, that cliché is our motto. This is how life should be for everyone! Plus, as long as we have each other, it’s all good! Let’s not forget that we need to do our part. We need to take the time to educate the people around us so that there are no more stigmas about fibromyalgia. It’s not a shameful diagnosis. It’s not a fake diagnosis. And it sure is not an easy diagnosis. But knowledge is power, isn’t it? So in a nutshell, we went over 30-some invisible symptoms of fibromyalgia. Not everyone will experience every symptom. Of course, the best way to obtain an accurate diagnosis is to talk to your doctor. Hopefully, this list will have helped you identify some symptoms, and maybe get some answers. I do not wish a diagnosis of fibromyalgia to my worst enemy, but I am grateful I know what ails me. This way, I can be better prepared for my future. 30- urge to educate people about invisible symptoms. Okay. That last one isn’t really a symptom. But it sure is something we want, and should, do! What are the symptoms you first noticed that led you to think you may have fibromyalgia? Have you been diagnosed, or are you waiting for an official diagnosis? How do you handle the invisible symptoms of fibromyalgia? Any tip you can share in the comments would be welcome! The invisible symptoms marked with a * are the common trigger points specialists will look for. In other words, if there is marked tenderness when any of the 9 pairs of trigger points are touched or pushed, then there is a good chance the diagnosis will be fibromyalgia. The American College of Rheumatology has published guidelines for the detection of fibromyalgia; they established that if 11 out of the 18 recognized trigger points (9 pairs = 18 trigger points) are sensitive to pressure, then a diagnosis of fibromyalgia is appropriate. It feels exactly as my life is. Only when reading this today, I finally don’t feel so alone. I’m often so afraid because no one gets it. Even those I love. It pushes us apart rather than closer. Thank you for writing this. Very good article. One to keep to show people who just don’t get it! Even family who really can’t live in your skin but don’t understand the complexity of fibro. Thank you. Well yes…that’s me …. And we are about to be homeless!! Yep…CANCER also….almost forgot! And husband has been sick for14yrs. I WAS the one working till I lost my job 2 yrs ago…then COLON CANCER surgery….caused a TOTAL FLARE I still haven’t recovered from. AND I need surgery again to repair herniated surgery site….been putting it off for months…..cuz of this pesky homeless thing!!! So can anyone tell us at 59yrs old….sick…how we may live in a trailer…if we’re lucky to get one? Wonderful article, I wish more people could understand this illness. I wanted to cry when reading this cos if one of my loved ones had this horrible confusing conditions my heart would break for them. Excellent article.explained it so simply and allows me to have more compassion for myself. I was diagnosed in 2009, I truly believe Ive had this since I was really young. Ive always had “migraines” the malaise has been happening, just thought it was a low blood sugar. went to dr cause I passed out. they fed me a snickers bar. wanted to puke!!! sleep? whats that? I go to sleep, I’m up in 30 min. if I do fall into what I call a deep sleep, its only 2 to 3 hours long. theres so much going on with me, I couldn’t even begin to try and explain it all. I QUIT DOING THAT!!! explaining to idiots is a job in its self.eating, I prefer not to. feel sick a lot. its not pregnancy!! I still have to be positive, many think this is made up? no, in my opinion You couldn’t make this stuff up, no matter how hard you tried n why would you want too. may GOD bless each and everyone of us who suffer from this. the key word here is I have FIBROMYALGIA!! it don’t have me. praying your day is a better one. never say a good day. we don’t know when that day is coming!! GB <3 smile!!! 🙂 we have this lets try to make the best of it. The more I read the less alone or insane I feel thinking that the pain could just be all in the mind. The forgetfulness; inability to concentrate or sometimes following a conversation. Sadly I am also realising how little my GP knows about my condition and there’s no comfort in that. Fab article, I feel so much better about myself. I spend most my life thinking I’m going mad. As said above, it feels like this article was written about me and my unpleasant symptoms I suffer daily. I have a few other long term illnesses but nothing compares to the pain and sadness of living with fibromyalgia!!!!!! One thing I have to stop doing is trying to explain myself to uneducated idiots that are not interested in reading the facts and problems living with fibromyalgia brings every single day. I was diagnosed with fibromyalgia about 13 years ago. Last year my symptoms began to change (I didn’t know they did that at the time). I was having the worst migraine of my life and went for an MRI. Because of the relationship between MS and fibromyalgia, they thought I was misdiagnosed. The fear that I felt was indiscribable. I went through all the testing and was cleared of MS. My first thought was thank God, but the bottom line remains the same. I haven’t had a day without pain since 1997. For some reason fibromyalgia was a ” lesser evil” than MS. It doesn’t get acknowledged the same way and you aren’t taken as seriously as an MS patient. Why? The pain is real, the sleeplessness is real, your inability to function is real and so is the depression. I was told a long time ago to try and stay active to help with the symptoms. So I push myself daily. I play sports. I work with the school board, kids every day keeping me on my toes. Yes I feel like giving up, but I don’t. I try to make the best of every day and take it one day at a time. I find if you live in your head, it is harder to combat, but if you live like you have a purpose, you make it through one day at a time. It isn’t easy, but you have to try. What other choice do you have? MY WIFE DOES NOT UNDERSTAND THE MOOD SWINGS AND PAIN I GO THROUGH. SHE TELLS ME THAT I CANNOT BLAME FIBRO FOR EVERYTHING. I HAVE FELT NAUSEATED FOR WEEKS, TO A MONTH AT A TIME. I ONCE PUSHED MYSELF TO FINISH CERTAIN TASKS IN ONE DAY, THAT THE NEXT DAY ALL I COULD DO WAS SLEEP AND GO TO THE BATHROOM. AS SOON AS I LAID DOWN I FELL ASLEEP. I AM ON A RESTRICTED DIET TO PREVENT KIDNEY STONES. I MIGHT AS WELL DRINK ONLY WATER.